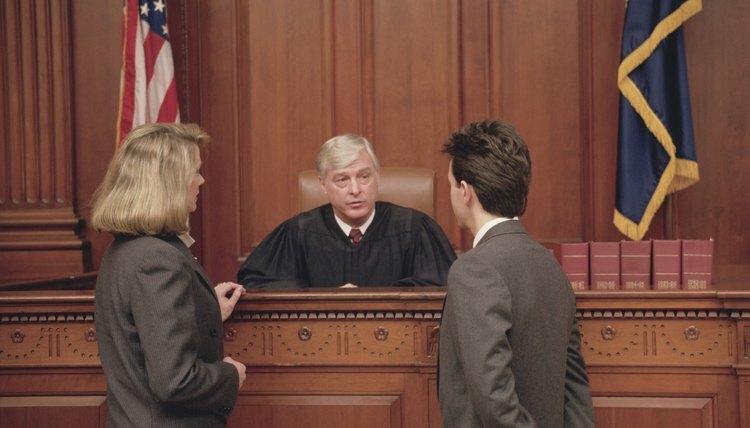 In Ohio, guardians are appointed by the probate courts. The process begins when you file an application for guardianship in the probate court in the county of the child's residence. Each county probate court has its own set of forms that you must complete. Filing fees vary but can exceed $200. The probate court will set a hearing date and notify the child's closest relatives, including any living parents, so that they can contest the guardianship application if they choose. The child may also object to the application; he is also entitled to representation by an attorney. If the guardianship application is successful, the probate court issues an order appointing the applicant as the guardian and the child as a ward. The guardian of a minor ward undertakes legal responsibilities similar to that of a parent towards a child. The guardian is required to act in the best interests of the ward in performing all his duties. He must provide food, shelter, clothing and health care. He must provide education to the extent required by law; he is entitled to make medical decisions on behalf of the ward. If the ward has financial assets, he must manage them in the best interests of the ward. If the guardian of a minor child dies, resigns or is declared unfit, an Ohio probate court may use expedited procedures to appoint an interim guardian until a permanent guardian can be appointed. The interim guardian need not be an individual; the court may appoint a social services organization, for example. A guardianship for a minor ward is terminated when the ward reaches 18, unless the ward has an impairment, such as mental retardation, that would prevent him from meeting his own needs. If a minor ward marries before reaching 18, the guardian must relinquish authority over the ward's personal needs, but may retain authority only over the management of the ward's financial assets, on the assumption that the ward's spouse will provide for the ward's personal needs.